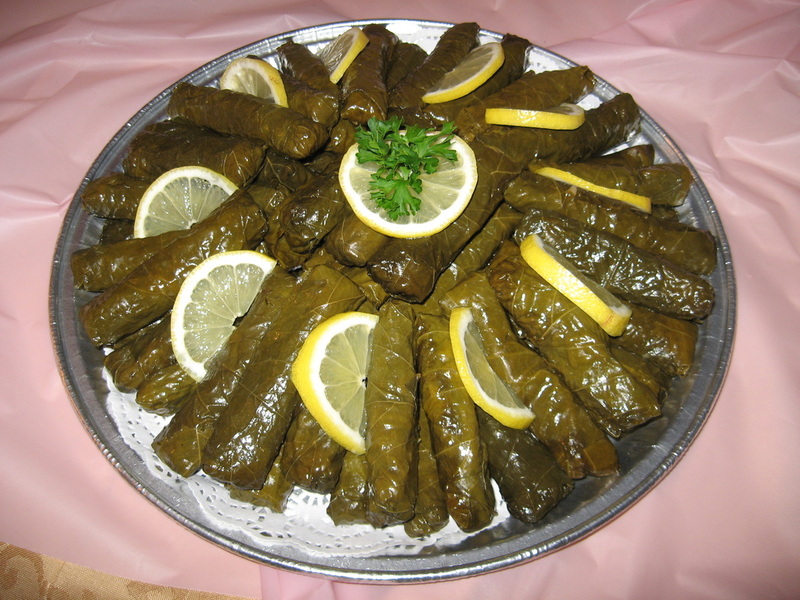 Grape leaves stuffed with rice, pine nuts, onions, black currants and Turkish herbs. Cooked in extra-virgin olive oil, topped with lemons. 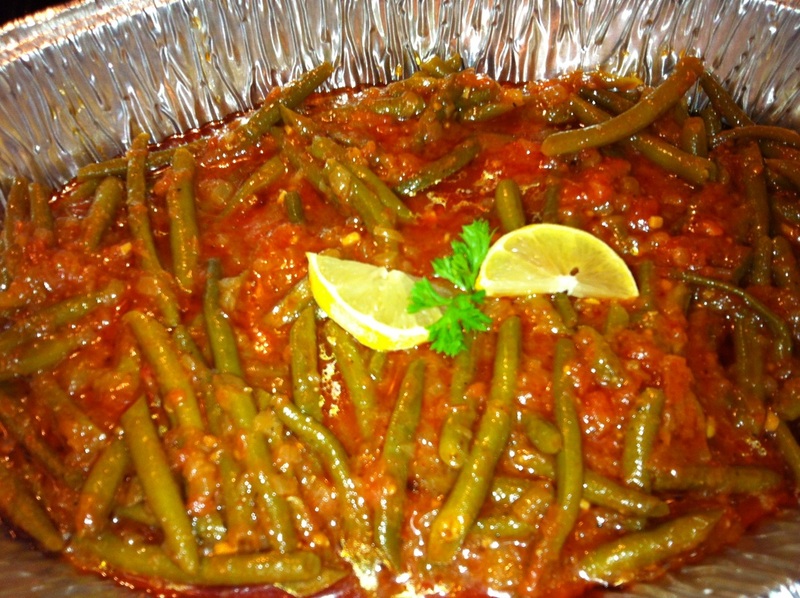 Green beans cooked in olive oil with onions, tomatoes, garlic and black pepper. Best served cold or at room temperature. 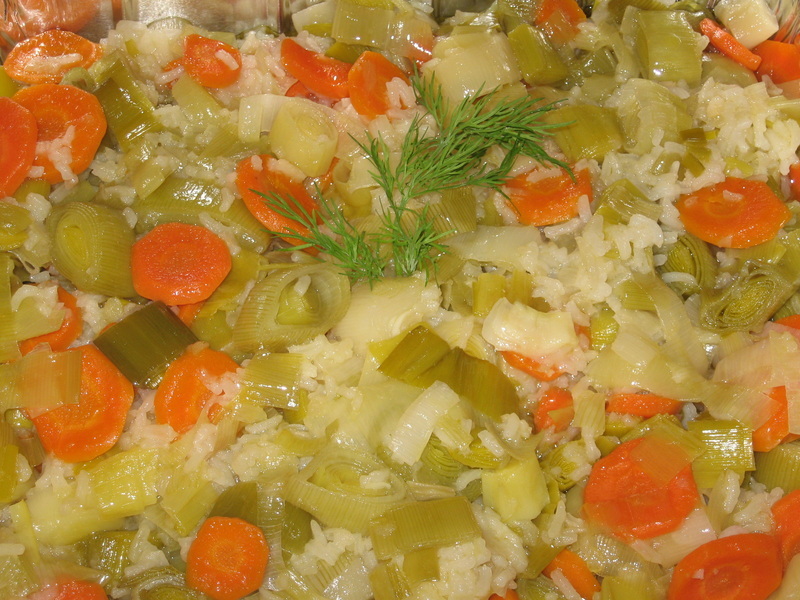 Leeks, carrots and rice are slow cooked with extra virgin olive oil. Lemon is added for a super finish, best served cold or at room temperature. 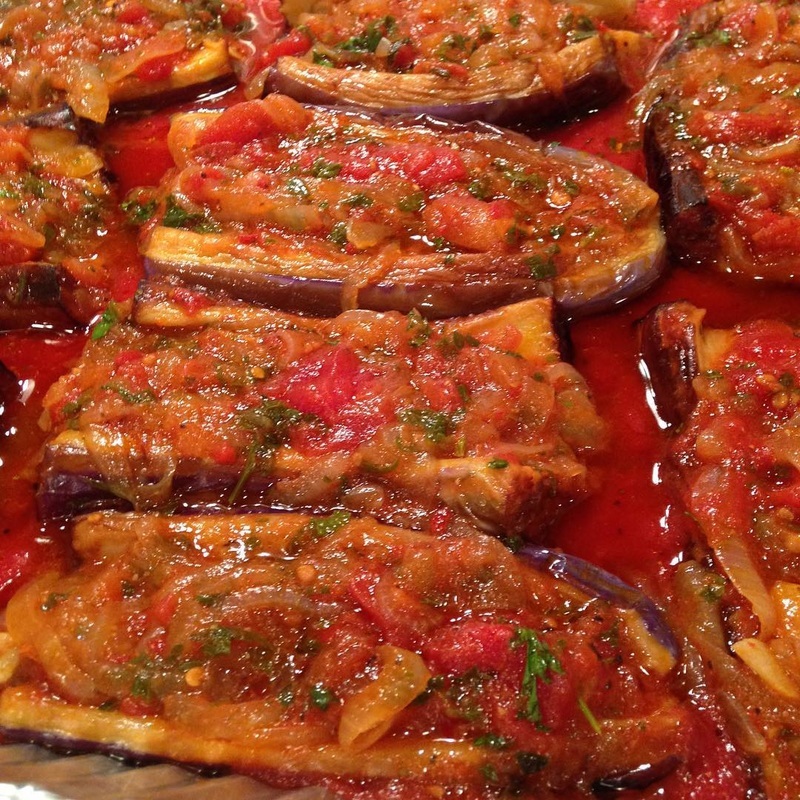 Imam bayildi is an eggplant slashed down the middle and stuffed with onions, garlic, and tomatoes and then simmered in olive oil. 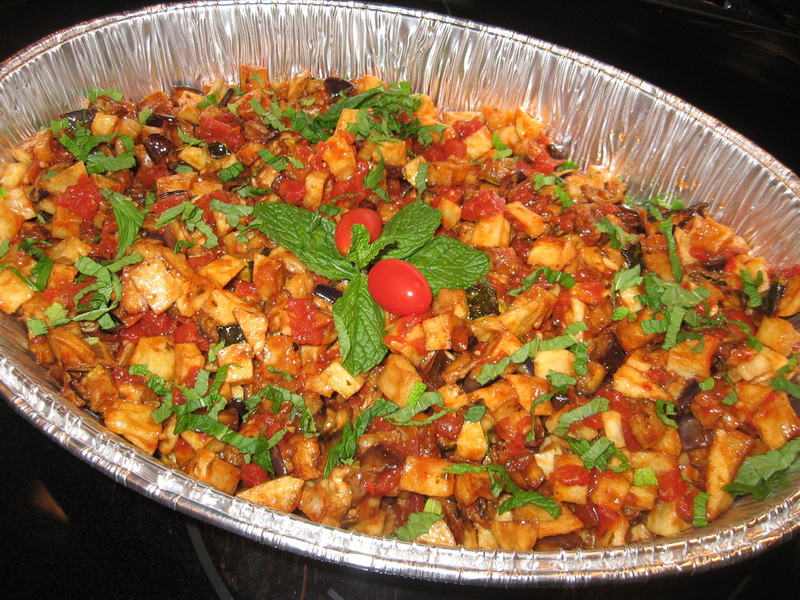 The eggplant is served cold side dish. Soooo yummy one of my favorite foods. 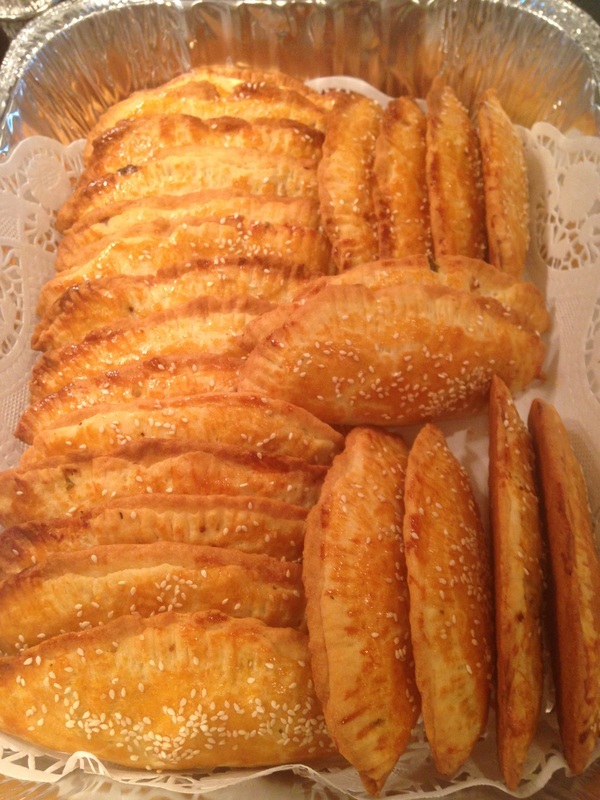 ​in Yufka pastry and baked till golden. 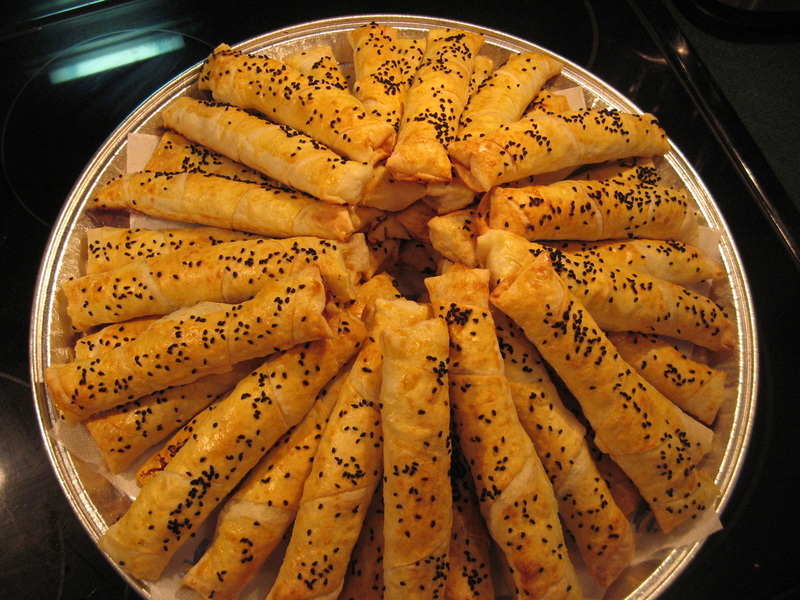 ​with Feta and Parsley or seasoned beef. Your choice of three different fillings. 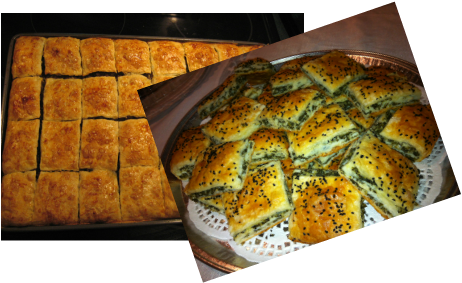 Feta and Parsley or Seasoned Ground Beef or Spinach and Feta, layered between filo pastry and baked till golden. This is definitely a crowd pleaser. 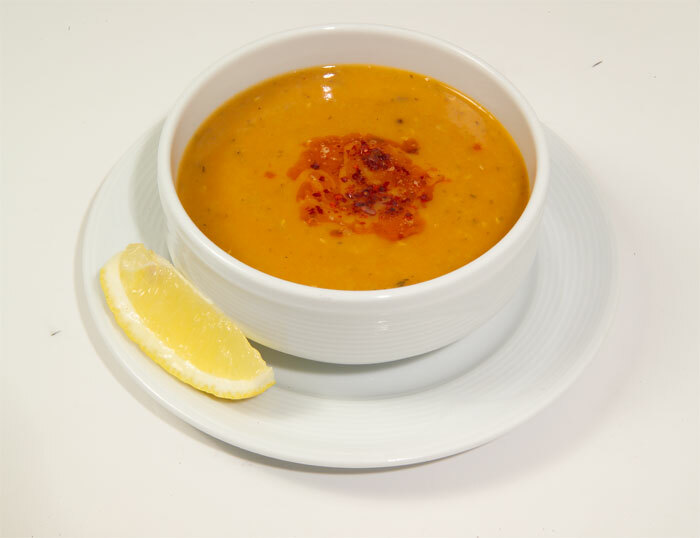 I bring this soup from Turkiye. 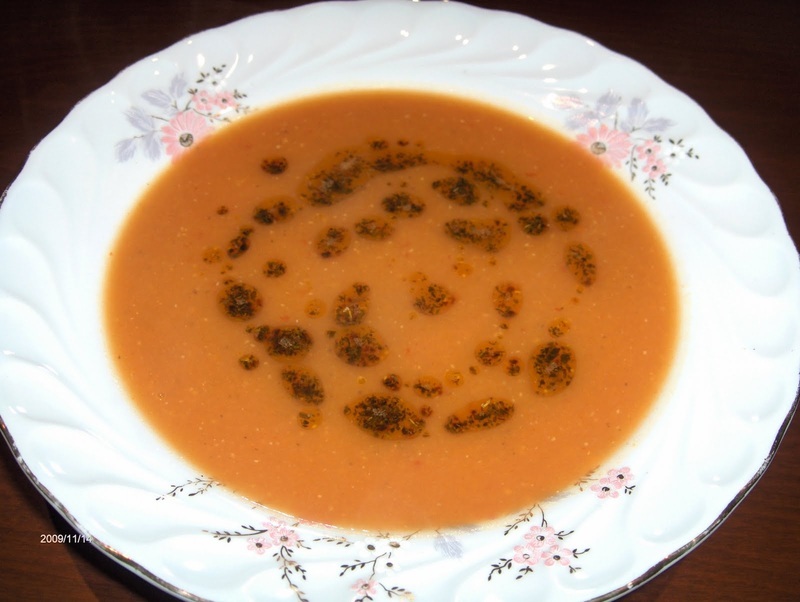 Tarhana is prepared with yogurt and lots of vegetables, like tomatoes, peppers, mint, onions, thyme, cumin, black pepper.